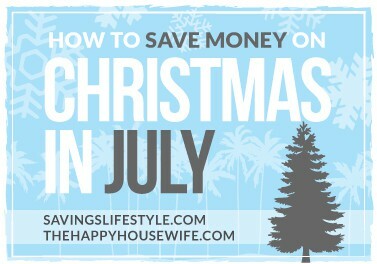 Well we did go into August a few days to finish our full Christmas (Savings) in July series. I hope you found the resources that The Happy Housewife and I shared helpful to save more money for Christmas. Visit The Happy Housewife to learn how to make a step stool. Toni will also have a roundup of the Homemade Christmas gifts as well! It doesn't have to end here! 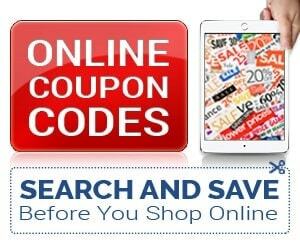 Please continue to share your best everyday savings tips so others can learn ways to save money too. Remember, you are eligible to win the $50 CASH prize each week. You can win multiple times as well! All of your submissions put you in the running for the Grand Prize of $500 CASH that will be drawn early next year! Be sure to subscribe to our FREE newsletter as we will have some awesome Black Friday, Cyber Monday and Christmas deals! 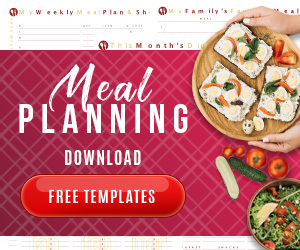 You seriously don't want to miss it as it will help you save tons of money AND time! Who doesn't want to do that? !